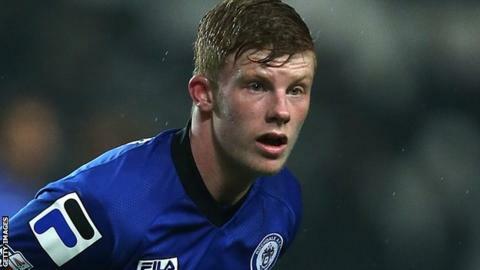 Rochdale full-back Andy Cannon has signed a new contract keeping him at the League One club until 2017. The 19-year-old, who can also play in midfield, progressed through the club's academy and made his senior debut on 27 September at Leyton Orient. He made a total of 19 appearances in his breakthrough season. "I want to keep on improving and I want to continue playing games so I know that I'll have to keep on working hard," he told the club website.